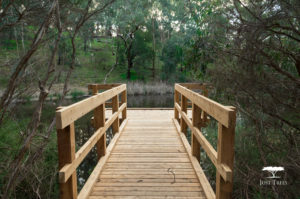 On the Just Trees blog we have discussed the wonders of Forest Bathing and the positive effects that it has on us as human beings. Being surrounded by greenery eases our stress and worry. It also helps us relax and think more clearly. There’s something about being in nature that simply restores our mood, gives us back our energy and vitality, and refreshes and rejuvenates us as a whole. These wonderful things are the reason why woodland gardens are popping up all over urban areas. And we will continue to see them pop up as more people have less time to visit actual forests or move toward the cities in search of job opportunities. Woodland gardens are magical spaces that provide relief to those who need it, but it is a complex design to undertake. 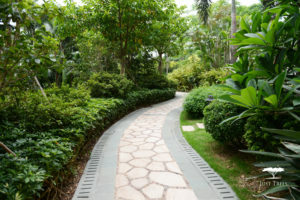 Let’s take a look at the basics of Woodland Gardens and what should be taken into consideration before one tackles a project of this size. First of all, you need to review the available shade or the lack thereof in the space that you need to fill. The question is whether or not you intend on embracing the sunny garden or if shade trees need to be brought into the space. It’s important to note that these shade trees don’t allow the canopy to get too dense. 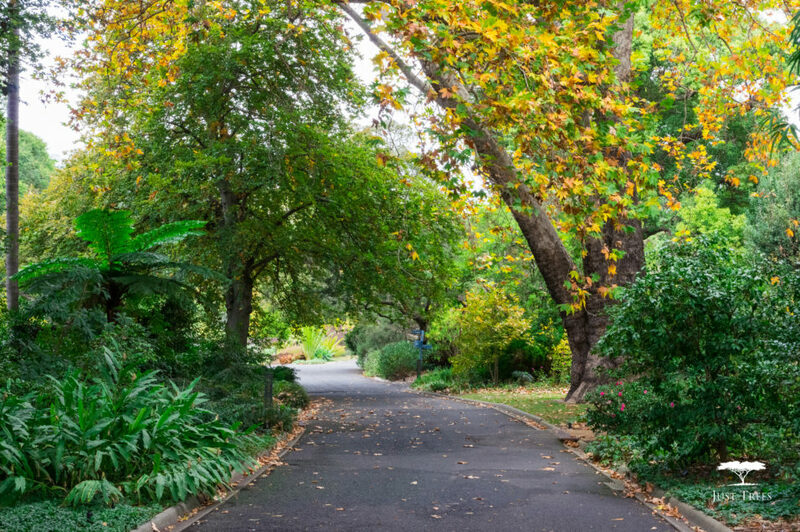 This will require more maintenance in the long run as the visitors shouldn’t have to bend under low hanging trees to walk around the woodland garden. Select smaller, understory trees to add vertical height to the space. It’s important to note the role that authenticity plays in a proper woodland garden. The goal is to create an oasis that will transport the visitor to an actual ‘woodland’. This means that all of the trees selected need to come together as seamlessly as possible and form a layering of sorts. The first and most obvious layer is the canopy, which creates the shade needed for the other plants to thrive and to create a sense of shelter. The Paperbark Thorn, Weeping Fig or the Silver Birch are all options that won’t block out too much light. Try not to plant too many trees to avoid overcrowding and nutrient deficient trees. The next layer is the intermediate shrub layer. This could include smaller, understory trees if space allows it, but shrubs can provide a multitude of interesting textures, colours, and flowers. 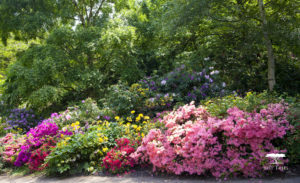 Azaleas, hydrangeas, mountain laurel and rhododendrons are all solid options for shady spaces. The third level is the ground layer which can include smaller herbaceous plants, grasses and ferns. Ferns are great as a ground layer for a woodland garden thanks to their versatility and love of shade. Stick to the naturalistic setting of a woodland garden. Since there are rarely straight lines in nature, opt for gentle curves. Mix plantings in a way where it appears like they would have grown that way on their own. A curving element to consider adding is a winding path. The winding route can help foster that mindfulness some people might be seeking. Having a place for your visitor to rest in their woodland garden can help them appreciate the space more. Refuge allows the individual a view out of the space, but they are secluded with protection generally overhead and behind them. Perhaps have an area cleared out where visitors can view another part of the woodland that is either aesthetically pleasing or calming to look at. A great addition to a woodland garden would be a small pond or dam, if the space allows it. The visitors will spend more time in the garden and it can be used as a centrepiece that the seating arrangement is directed toward.